I have never been bothered by advertisement on websites unless the advertisement had certain Bollywood male actors who endorse products all year long, in which case it would irritate the hell out of me but otherwise I support advertisements. But lately I noticed that many websites are embedding video advertisements on their websites and these videos automatically play once the page loads and this really started to annoy me as I have a 25GB Monthly Limit Data Plan and can’t afford to waste it on these advertisements. So I checked if there is an option to disable ads in Safari and found out that you can install Ad Blocker apps from the App Store and enable them in Safari settings to block advertisements. Not being satisfied with some of the Ad Blocker apps found in App Store, I tried Firefox Focus and it’s exactly what I was looking for. Firefox Focus integrates with Safari and blocks all video advertisements as well as many image advertisements too resulting in faster loading and less cluttered web pages. Once installed open the Firefox Focus browser and click on the Settings Icon on the top right side corner. 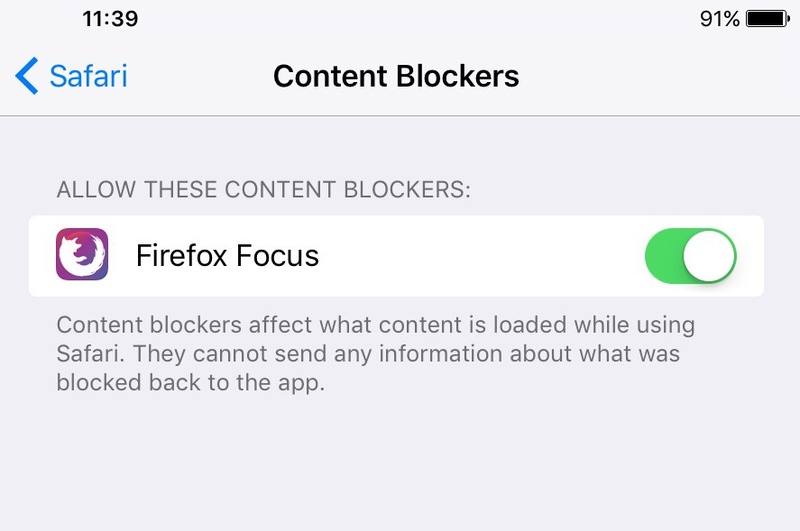 Firefox Focus will appear in the Content Blockers pane, enable it. 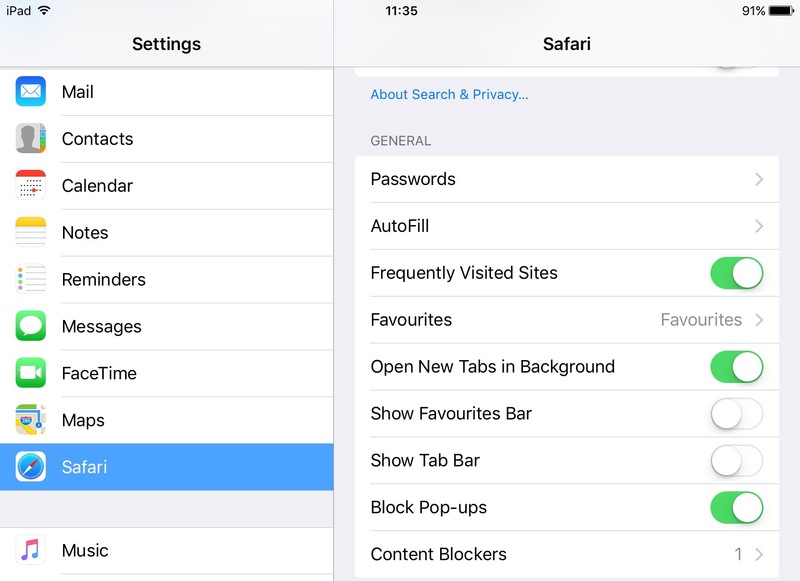 That’s it, now you can visit websites in Safari with much more privacy and without those annoying video ads.